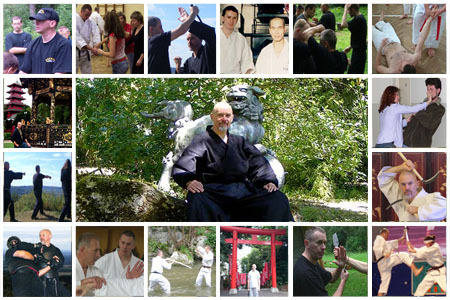 Rodokan combat karate kempo was created from decades of experience and training in different martial arts forms. The system combines universal elements from many styles. We use the same technical elements in training with or without weapons. Our practice consists of three basic parts: empty hand (kihon, kata, kumite), knife and yawara (kerambit, kunai and a double bladed rodokan knife) and weapons (sai, kama, eskrima). We also learn the sword technique (katana, wakizashi and tanto). 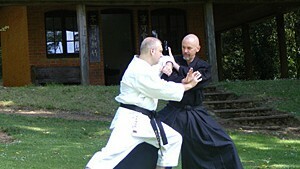 Other important elements of our training include meditation, chi / ki exercises, atemi and acupressure techniques. This method offers an original path to developing your training with fascinating new elements. 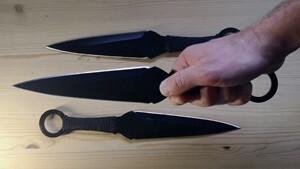 Today many martial arts schools teach how to defend against a knife attack.